The latest depositions by officers Amitabh Thakur and Sandeep Tamgadge as well as gangster Azam Khan have returned to haunt the BJP party president despite his discharge. Despite attempts to cover up all memory of the Sohrabuddin Sheikh fake encounter, while the hearings continue, the case will continue to haunt BJP president Amit Shah along with the others involved. 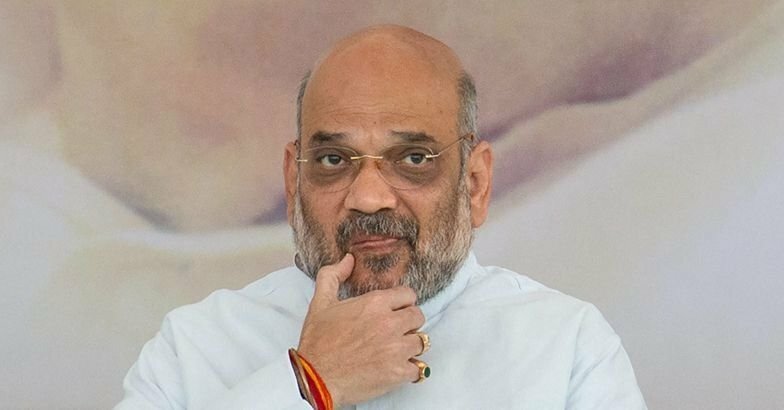 The latest depositions before the special Central Bureau of Investigation (CBI) court in Mumbai – according to Manini Chatterjee writing for The Telegraph – have once again established the link between Amit Shah and the Sohrabuddin fake encounter. Amitabh Thakur who was investigating the Sohrabuddin encounter named Amit Shah, D.G. Vanzara, Rajkumar Pandian, Dinesh M.N. and Abhay Chudasama as conspirators before the CBI court on November 19. Sandeep Tamgadge who investigated the Tulsiram Prajapati encounter named Amit Shah, Vanzara, Pandian and Dinesh M.N. as being behind the killing. The proceedings in the Sohrabuddin Sheikh fake encounter at present relate to around 22 others involved. According to Thakur’s deposition, the 22 involved were only following the orders of their superiors and hence were discharging their official duties. It need not be spelt out again who exactly these ‘superiors’ were. Yet the story of Sohrabuddin Sheikh and Amit Shah goes back to 2003 with the murder of Haren Pandya, a BJP leader and minister in Gujarat government, who fell out with then Chief Minister Narendra Modi. The deposition by a gangster, Azam Khan, who is at present lodged in Udaipur Jail, has perhaps thrown light on the motive to bump off Sohrabuddin Sheikh. According to Khan, the contract to kill Pandya was given to Sohrabuddin Sheikh and two others by DG Vanzara, the then Deputy Inspector General of Police (DIG) in Gujarat. Pandya had allegedly invited the ire of the BJP leadership in Gujarat after deposing before the Concerned Citizen’s Tribunal headed by retired Justice VK Krishna Iyer regarding the 2002 Gujarat riots. In March 2003, Pandya’s body was found in his car after he had left for a morning walk. The people arrested in connection with the murder were released by the High Court who heavily criticised the police for the investigation. The appeal is still pending in the Supreme Court. After 2002, Gujarat witnessed a spate of encounter killings. The notable encounters where DG Vanzara’s name came up were; Samir Khan in 2002, Sadik Jamal in 2003 and Ishrat Jahan – along with three others – in 2004. On November 26, 2005, Sohrabuddin Sheikh – a known criminal – was shot dead by the Gujarat Police near Ahmedabad. According to the police, he was associated with the Lashkar-e-Taiba and involved in a plot to assassinate the then Chief Minister, Narendra Modi. The police had attempted to stop his vehicle, however, Sheikh opened fire and sustained injuries in the crossfire which led to his death. Tulsiram Prajapati, Sohrabuddin Sheikh's aide, was gunned down in another encounter in the early hours of December 28 the following year. The official version of Prajapati’s encounter was that he had escaped from police custody and was killed in retaliatory fire when the police tried to apprehend him. Also Read | Haren Pandya: Banquo's Ghost in Search of Macbeth! Rubabuddin Sheikh, Sohrabuddin Sheikh’s brother, had moved a habeas corpus petition in the Supreme Court after the encounter for the production of his sister-in-law Kauserbi. Before any orders to the effect could be passed, the Gujarat government filed a report stating that Kauserbi was dead and her body had been cremated at Ellol village in Gujarat on November 25, 2005. It may be useful to point out that Ellol village is where DG Vanzara is from. After the Gujarat government’s report, the Supreme Court handed the case over to the CBI and allowed the court proceedings to be conducted outside Gujarat. Though the Supreme Court had directed that the entire case must be heard by the same judge, Judge Utpat was transferred, allegedly for passing disparaging remarks about Amit Shah’s tardiness. Thereafter, in June 2014, Judge Loya took over the hearings. However, in December the same year, Judge Loya allegedly died of a heart-attack. By the end of the month, Amit Shah was discharged. In August 2017, the Anti-Terrorism Squad (ATS) police personnel were released. However, in November 2017, the Caravan magazine published a series of articles alleging that Judge Loya’s death was not natural. The articles led to a public outcry and petitions were filed in the Supreme Court seeking a fresh independent inquiry by a Court appointed Special Investigation Team (SIT). The petitions were however dismissed on April 19, 2018. The latest allegation regarding Judge Loya’s untimely death is a petition filed before the Nagpur bench of the Bombay High Court by advocate Satish Uke. It is alleged in the petition that Judge Loya died of radioactive isotope poisoning. The petitioner has also stated that he fears for his life. The Gujarat High Court on Thursday, April 18, asked the state government why can’t it grant the atheist status to the citizens.